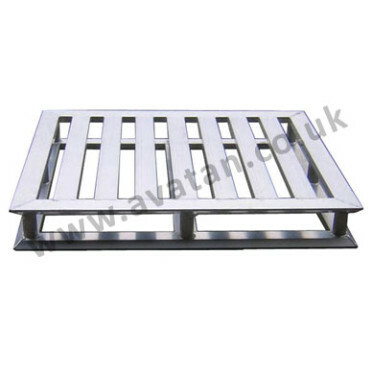 Aluminium and stainless steel pallets made to order for food and pharmaceutical industries. 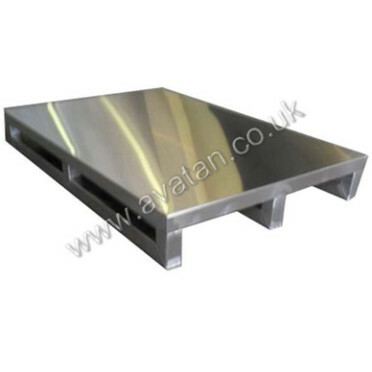 Aluminium pallet manufactured in all sizes to suit your own needs. 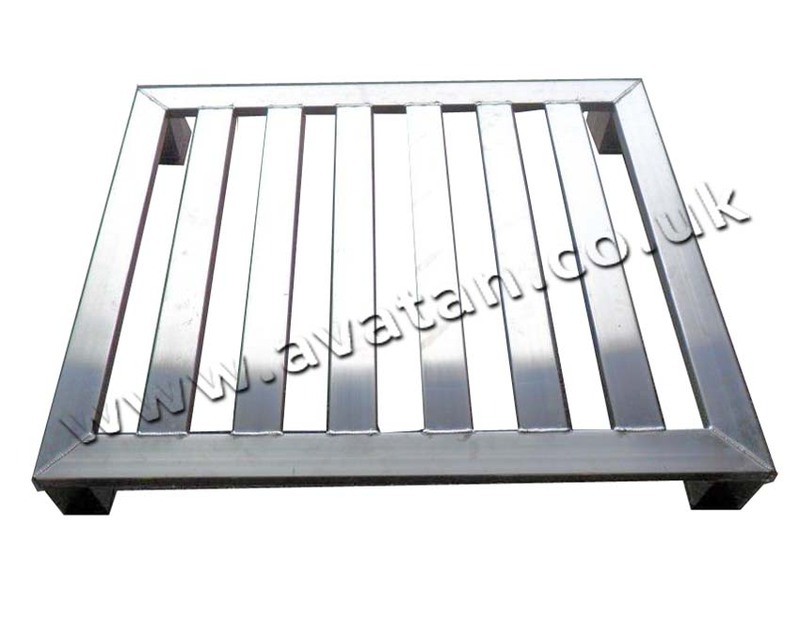 Pictured here is AL1012/CB/6P80 in standard pallet size, 1200mm x 1000mm. 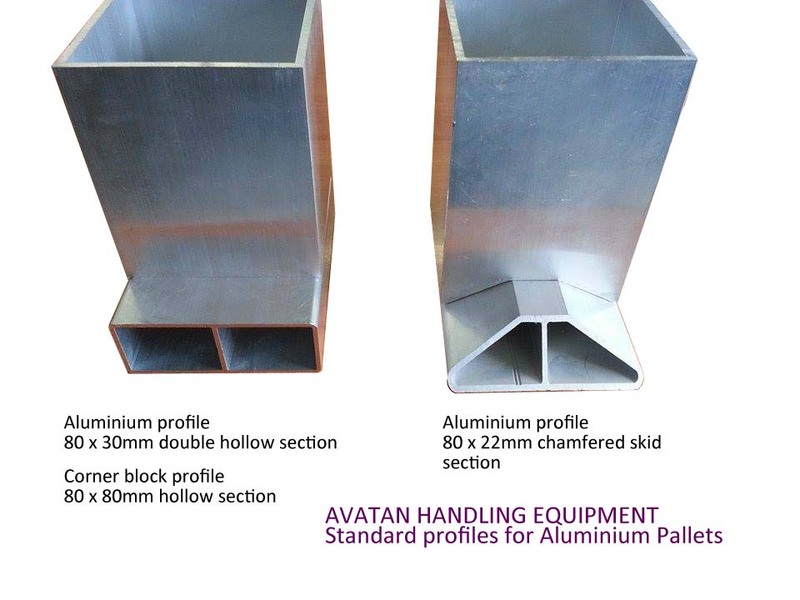 Using 80mm extruded double hollow section leaving 80mm gaps between the planks and with free entry on all four sides. 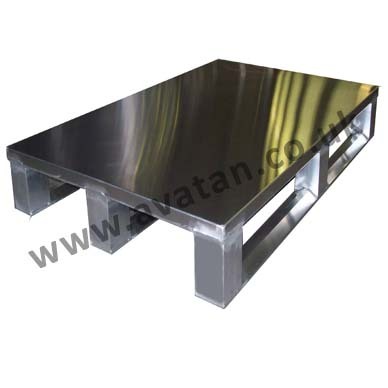 (Options with skids are also available). 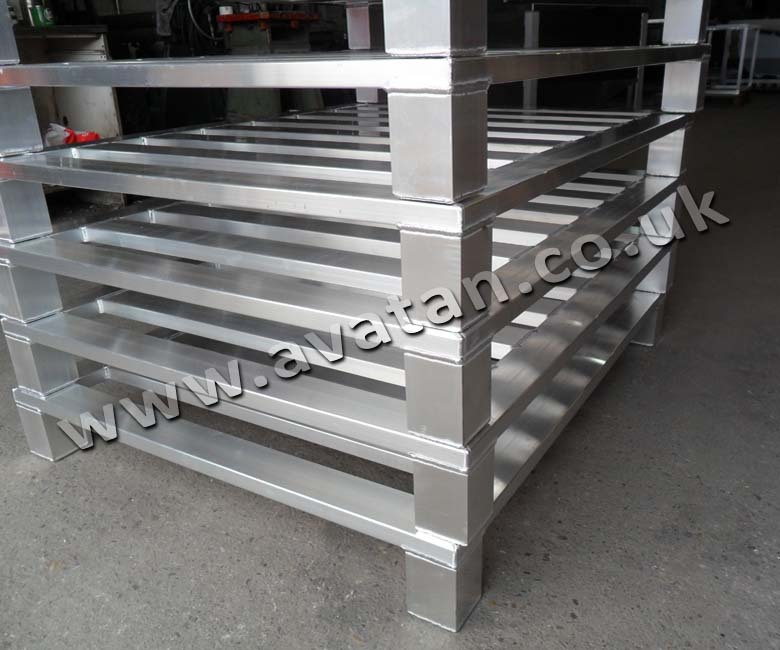 These ultra hygienic light weight but heavy duty pallets have all tube ends fully sealed with continuous welds on all joints. 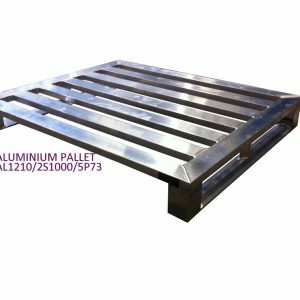 Pallets may be made to suit your own needs. Please ask for details.